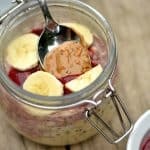 Banana Split Overnight Oats are a delicious summer breakfast that is perfect for kids and adults! 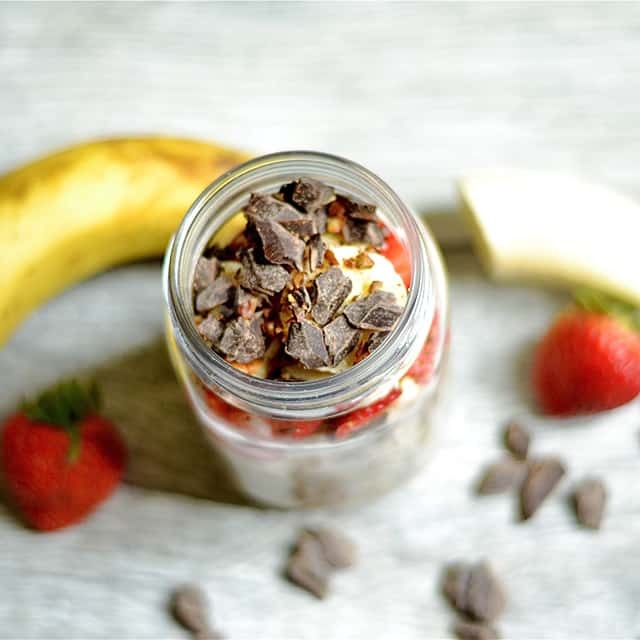 Strawberries, bananas, chocolate chips, and pecans make this healthy breakfast taste just as good as a dessert. The overnight oats are back, now that it’s 100 degrees outside. Oatmeal lovers should rejoice in the fact that you don’t have to quit eating your beloved favorite breakfast in the summer because of the heat. We love oatmeal, but don’t love warm oatmeal in the summer months. This is why I’m totally obsessed with overnight oats, and so is my little Miss Carbivore. In fact, this was her concoction for breakfast last week. The girl loves herself some chocolate, and anytime she can get away with eating it for breakfast, she’s all in!!! So this recipe is perfect to get kids involved in eating healthy. 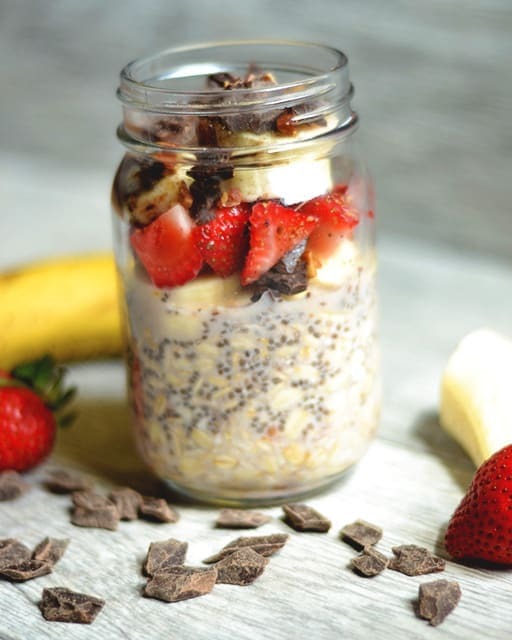 It comes together by simply using milk, a dash of sweetener (honey or maple syrup), rolled oats, and chia seeds. Let the mixture sit overnight in a jar. 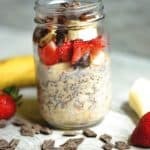 In the morning, give it a good stir and top with strawberries, bananas, chocolate chips, and pecans (or nuts of your choice). So much easier than making a bowl of cereal!! I love that you can control the amount of sugar, and the recipe is full of other nutrient dense foods. 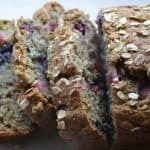 This recipe is perfect for busy mornings, and even portable to take with you. No more excuses for not eating the most important meal of the day!! 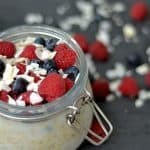 The night before, mix together oats, chia seeds, milk, and sweetener in a jar or bowl. Cover and refrigerate overnight. The next morning, give your mixture a good stir. Top with bananas, strawberries, chocolate chips, and pecans. I love your recipes and can’t wait to get your new book! 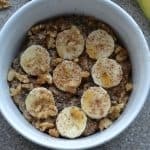 My question for this recipe is whether I can use Coach’s oats or if I have to use traditional oats. I have not tried them before but it should work just fine!